Fun Project for all ages.! You will need: Black shoe polish or oil pastels. I started with a 9 x12 board. You can use stretch canvas board or any kind of 9x12 flat surface. 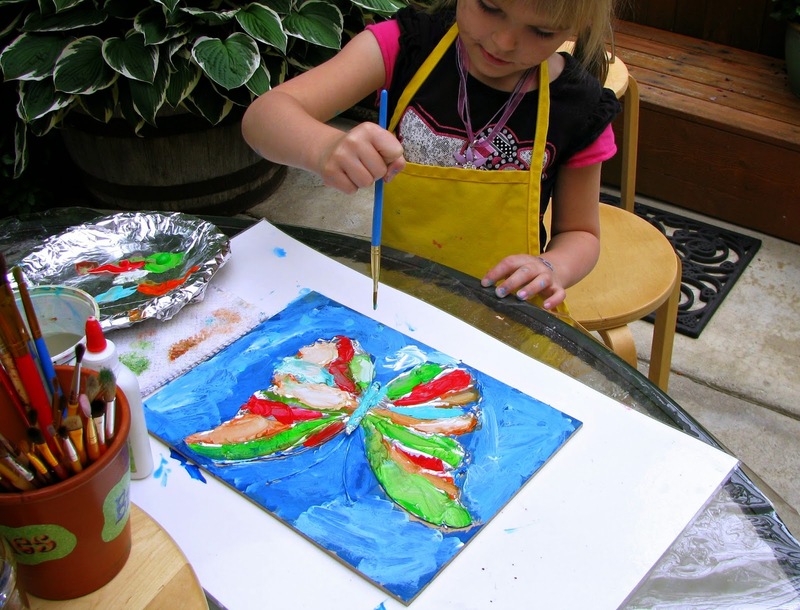 Make a template for multiple butterfly projects. 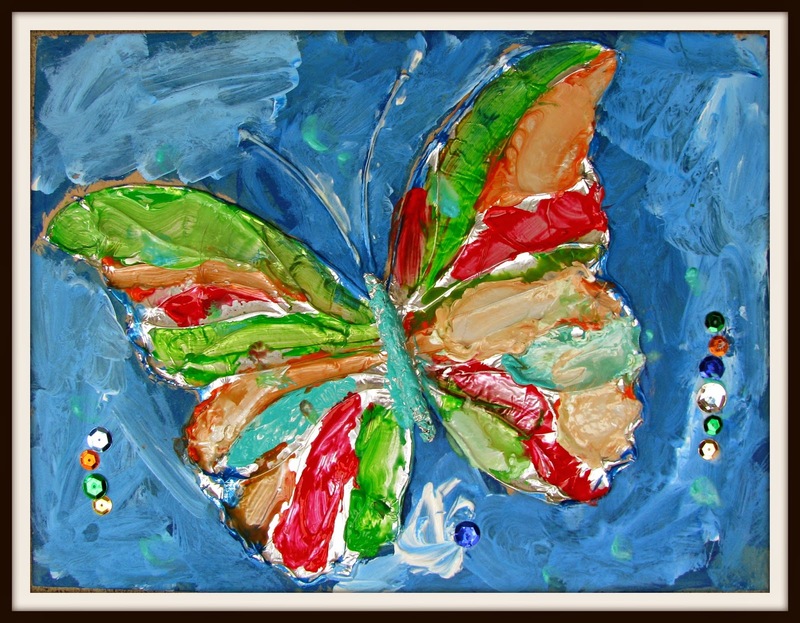 Draw or print a large butterfly on a piece of paper. Cut it out, and trace it on the canvas board. 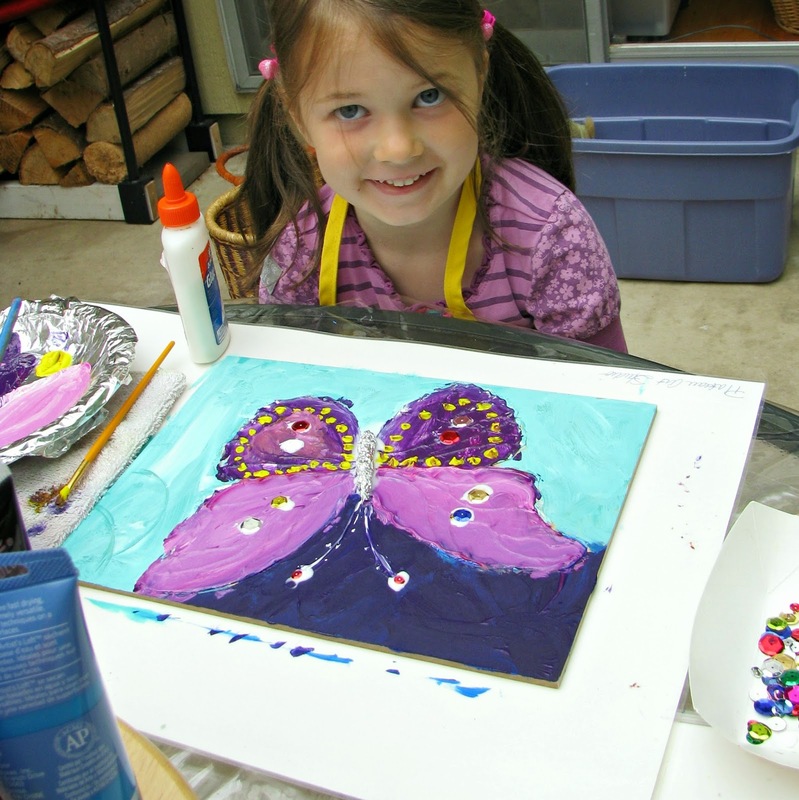 Next, trace your butterfly with hot glue. 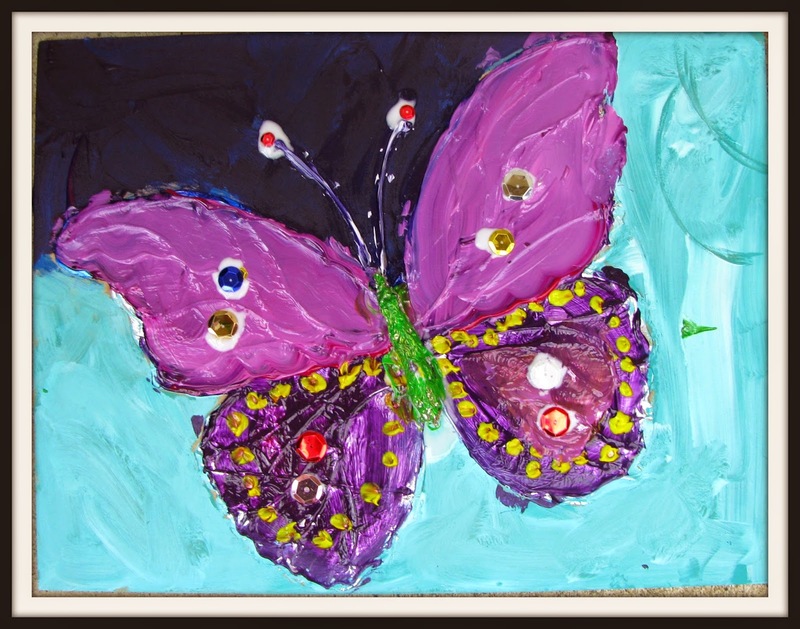 Now using Glue or Mod Podge, paint the surface of the butterfly only. 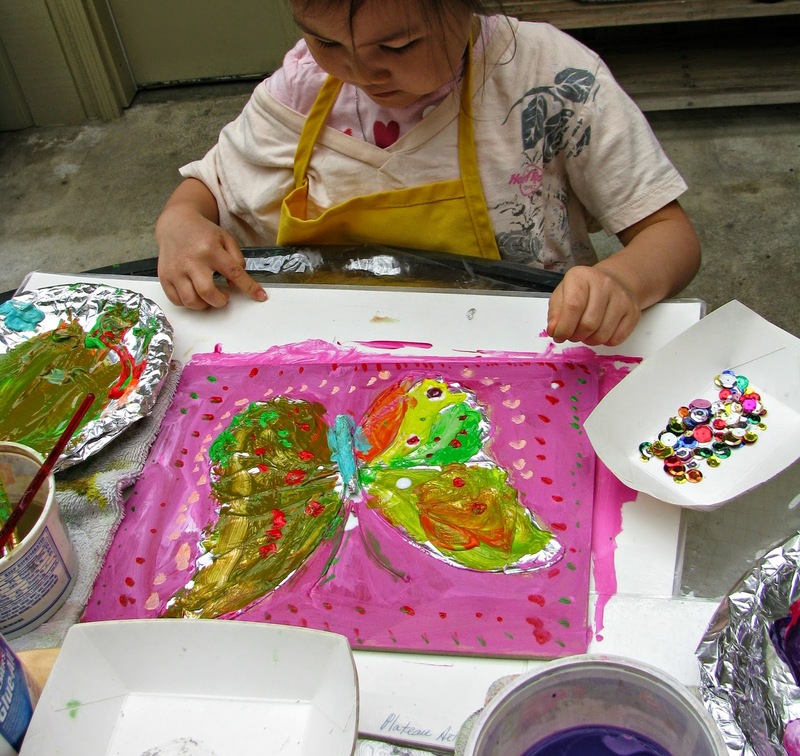 Then place a piece of foil over the butterfly. 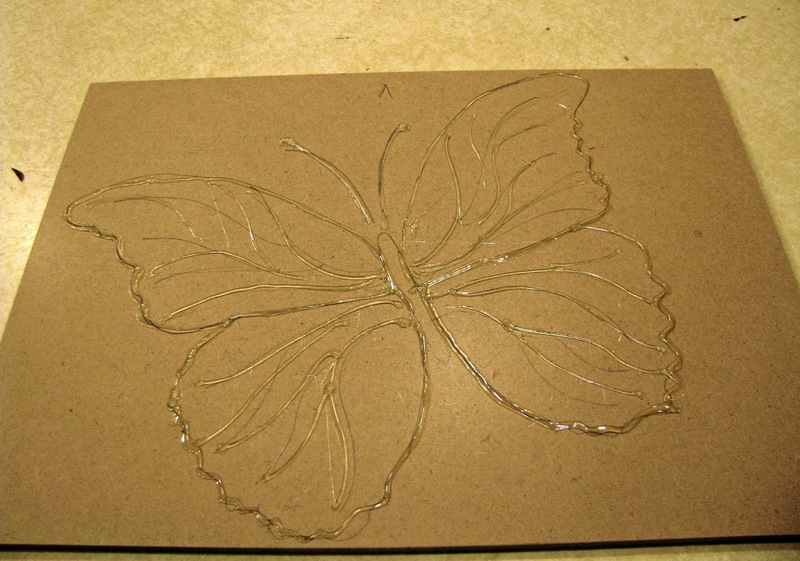 Starting from the center, press foil onto the butterfly so the foil now has a embossed effect. Now your ready to trim your foil from around the butterfly. Using oil pastel or shoe polish, gently rub the surface of the foil. This allows the acrylic to adhere better to the foil. 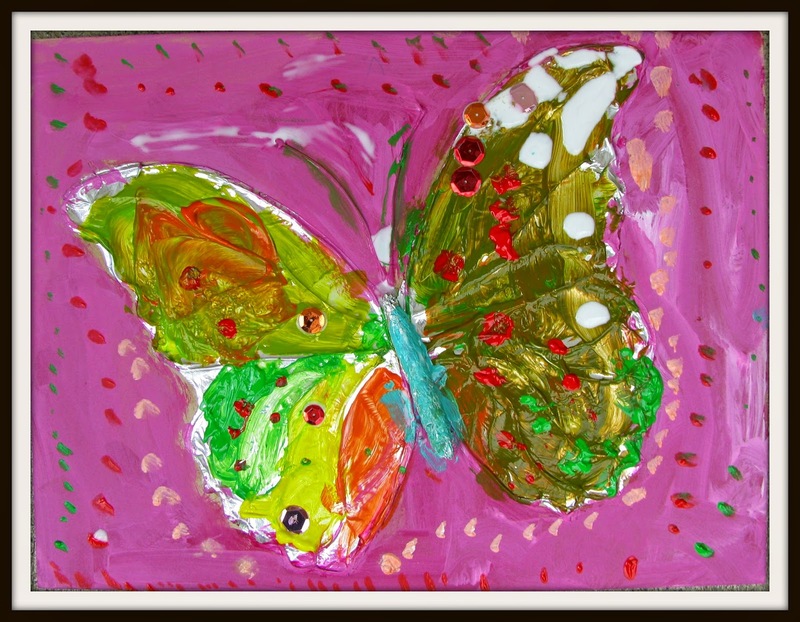 When your done painting, I used a sanding block to lightly rub the raised foil areas of the butterfly. Basically rubbing off some of the paint from the raised areas so the foil shows. 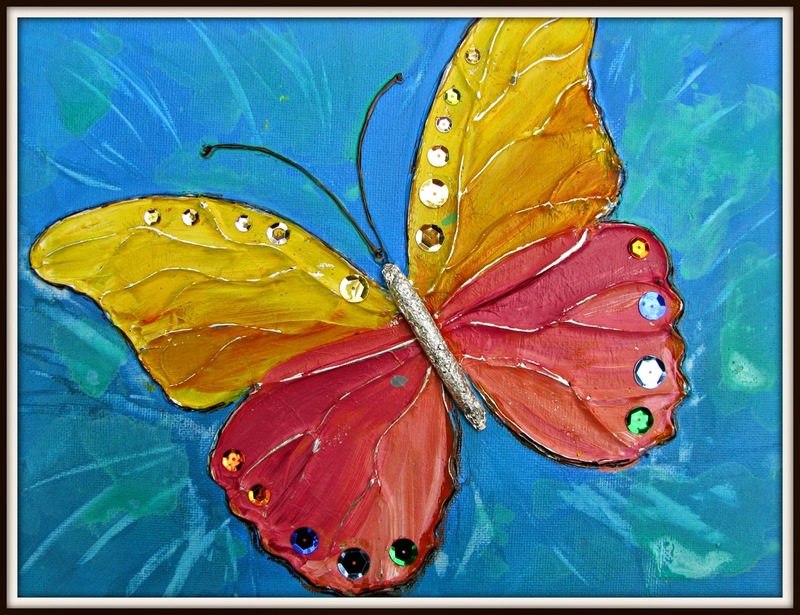 Take a wad of foil and make the body of the butterfly. see samples. Decorate with your choice of embellishments! These are Gorgeous! I am excited to try this project. Thanks for posting!